Denvers Museum of Nature and Science was a very stimulating place on Tuesday. Stimulating  as in awestruck, enthusiastic, anticipatory, hopeful  and nervous. And, of course, as in stimulus. President Barack Obama, returning to Denver for the first time since his partys coronation last summer at the Democratic National Convention, signed into law a $787 billion stimulus bill which he hopes will jumpstart Americas staggering economy. With a businesslike There you go. Its done and a flourish of his pen, Obama put the finishing touch on the first major challenge of his new administration  a significant, perhaps even historic victory, even if very narrowly won. Beneath the gaze of Vice President Joe Biden, former Colorado senator and now Interior Secretary Ken Salazar, Colorado Governor Bill Ritter, Denver Mayor John Hickenlooper and a host of other local luminaries, the president looked at the crowd and smiled widely. The audience of several hundred, composed mostly of people involved in Colorado alternative energy businesses and projects  a prime focus of the stimulus package  applauded with vigor. A virtual battalion of local and national media, armed with an imposing array of gadgets and technologies, filmed, shuttered, recorded and scribbled, underscoring the national and international importance of what was transpiring. Hovering at the perimeters of the audience and press section squeezed into the tightly secured, meticulously cordoned, virtual lockdown of the museum, a cadre of Secret Service agents carefully watched everyone while quietly muttering into their mouthpieces. All in all, quite a scene  an auspicious occasion as such events are often called  and one thats not likely, for better or worse, to be soon forgotten. In a characteristically clear and forceful address before signing the American Recovery and Reinvestment Act, Obama made it clear that it was an event and a day designed for all Americans, even the many conservatives who oppose it on the grounds of its unprecedented levels of spending. While he enthusiastically touted its provisions for job growth, tax breaks, financial aid for state governments and government aid to the poor and laid off workers, the president did not attempt to soft sell the package, nor the economic hardships still ahead. Our American story is not  and never has been  about things coming easy, Obama said. In that spirit, Tuesdays ceremonies began with something stirring  the national anthem sung passionately and beautifully by Denver singer Sheryl Renee Lynch  and something inspirational  an invocation delivered by Denver Rabbi Joel Schwartzman. Rabbi Schwartzman, spiritual leader of Bnai Chaim in Morrison and a former Air Force chaplain, delivered a prayer that struck many of the same notes the president sounded a few minutes later. It is to say that the American people have seen hard times before and weve always exercised the capability of overcoming, innovating ourselves, picking our way through and coming to better times, he said. Defining himself as liberal on social issues and hawkish on international issues, especially Israel, Rabbi Schwartzman said he strove to write a prayer that would transcend the partisan battle lines around the stimulus bill. He said he is only too aware how many Americans staunchly oppose it. Im doing prayer, he said, and prayers are not political. His selection came about, Rabbi Schwartzman said, because he sits on Mayor Hickenloopers clergy council and on Road Home, Denvers effort to end homelessness within a decade. A rabbi was chosen over a minister or priest, he speculated, because it would obviate any concerns over particular Christian denominations. The rabbi (who once before prayed at a presidential event at Arlington National Cemetery during President Bill Clintons term) turned humorous for a moment, recalling how he found out that he had been given the rare honor to give an invocation for a presidential speech. The call came in on Shabbat, of all things, from Sue Cobb, the mayors assistant for these kinds of events. Duly chastened, the rabbi quickly called back and accepted the invitation. As to the fate of Obamas ambitious move to stabilize the economy, Rabbi Schwartzman admitted that he really has no idea whether the measures will work. The rabbi urged all Americans to regard the effort from a hopeful perspective. With all the applause stilled, all the prayers recited and all the papers signed, the president and vice-president waved to the crowd and made a hasty exit, already preparing to head for Phoenix, where they would continue stumping for the stimulus package just signed. Outside the museum, it was a typically stunning Colorado day, with brilliant sunshine and a panoramic view of the Front Range to the west. But a powerful wind was roaring down from those mountains, buffeting the suits of the Secret Service agents and fluttering the flags on the waiting motorcade. The winds of change? Only time will tell. 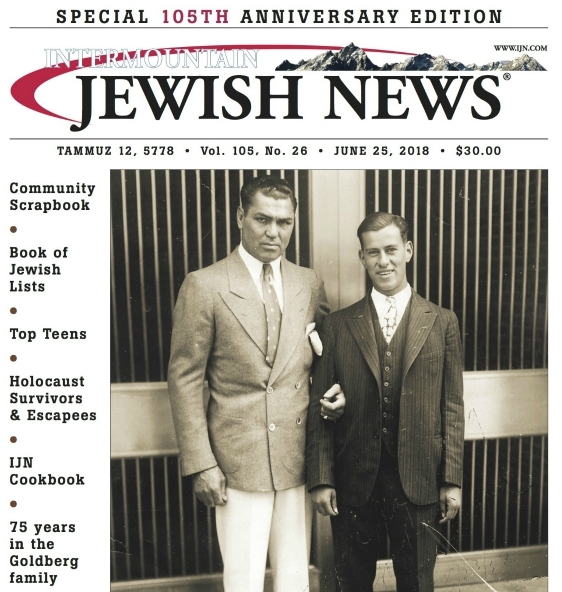 Read the related blog entry, “Denver, once again”, on Rocky Mountain Jew.